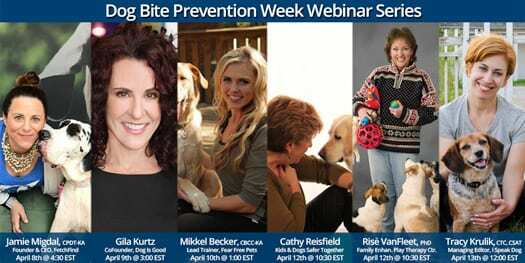 All five of the webinars will feature a segment on how to use dog body language to tell if a dog is safe to interact with and an easy game to help children remember how to act if a strange dog approaches them. Each presentation will also feature the guest of the day’s top 5 list for how to keep kids safe around dogs. “The webinars are being designed to be visual and appealing to all ages. I don’t know that small children will be interested in the discussion portions, but we’ll have animated videos and an online game that the entire family can participate in,” reported Merritt-Butler. The webinars are being offered free through registration and also will be streamed live to Good Dog in a Box’s Facebook page. Good Dog in a Box will be launching its new “Good Dog on the Go!” line of online dog training courses during Dog Bite Prevention Week and will be donating to select shelters, subscriptions of “Rescue Dog 101,” an online course specifically for new pet parents of a rescue dog. According to the American Veterinary Medical Association (AMVA), more than 4.5 million people are bitten by dogs each year in the United States, and at least half of those bitten are children. Not only are children by far the most common victims of dog bites, they are far more likely to be severely injured. Most dog bites affecting young children occur during everyday activities and while interacting with dogs they know. 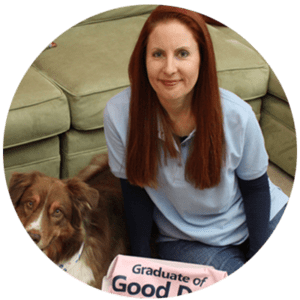 Good Dog in a Box was launched in November of 2016, by sisters, Jenn Merritt, CPDT-KA and Kim Merritt-Butler to provide family friendly dog training subscription boxes, dog bite prevention products, and education resources to families with kids and dogs. For more information and to register for the webinars, visit the company’s website at GoodDogInABox.com. Kim Merritt-Butler developed the idea for Good Dog in a Box in Sept 2015. Her first job was convincing her sister, Jenn Merritt, CPDT-KA, that dog training in a box was a good idea. (That didn’t take long.) Kim has been responsible for the design elements including the products, branding, animation, and online imaging. She developed the e-learning system, and produced and directed all the videos in Good Dog’s online learning programs. She is in charge of the Partner Program and development of strategic partnerships. Check out our kid and dog friendly, reward based training tools at Good Dog in a Box! Share with us how your family and friends have used Good Dog in a Box! Share your pictures on our social media. We’d love to hear from you. Let’s keep kids and dogs SAFE together!